“The Book of Barkley” by L.B. Johnson tells the story of a young woman who decides to bring a Labrador retriever into her life, and their life together begins when she gets him as a puppy. They developed a special connection when he spent his first night with the young woman in her arms. Their hearts connected. As the author goes through the trials of daily living, Barkley is by her side. Her decisions are no longer based upon being a single woman, rather they become based upon being a dog mom. Where they live, how they live, her travels and her social life are all impacted by this wonderful life that has joined with hers. Barkley is a very smart and he quickly learns to be a proper dog, at least most of the time. Very funny moments are shared with us, although for the author, they probably weren’t as entertaining at the time. For example, like all labs, Barkley like to eat everything, however, his digestive system isn’t quite up to par for all that he chooses to ingest. This leads to some big messes. I felt guilty about laughing as I read, yet I have also been there myself with a dog that was diagnosed by the vet as having, “garbage gut.” Dog lovers will truly be able to relate to their story. As the author goes through important life events such as relocating, relationships, and losses, Barkley is by her side. I enjoyed reading and relating to their story. I felt that “The Book of Barkley” by L.B. Johnson is a beautiful tribute to a wonderful dog. It also made me reminisce about my own experiences with my dogs, and wish that their life spans were as long as ours so that we never lose them. 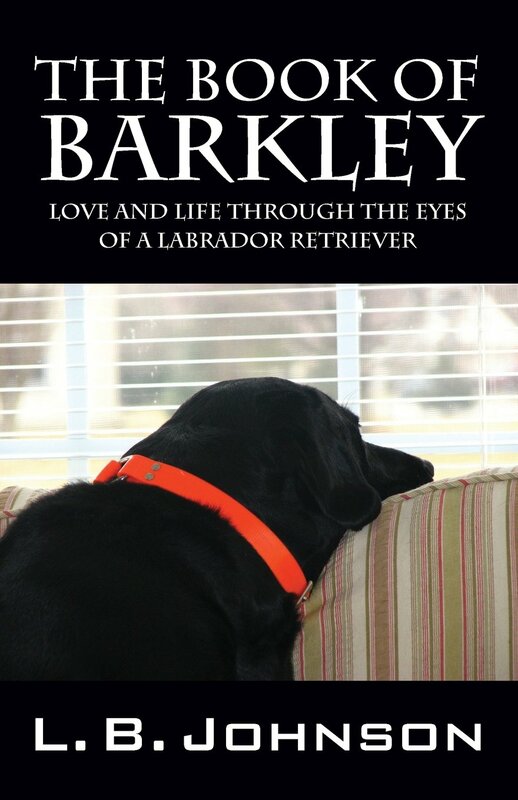 Dog lovers will love reading and relating to Barkley’s story. I think this book will make a wonderful gift for a readers who are also dog lovers. This entry was posted in Non-Fiction, Pets & Animals and tagged Book Review, L.B. Johnson, The Book of Barkley. Bookmark the permalink.